The new masculine fragrance by Moschino leaves a timeless scent, created for a classic man. 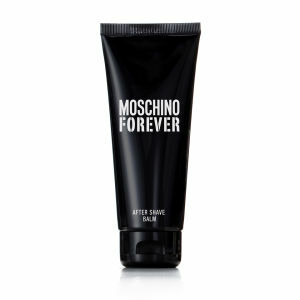 This Moschino Forever After Shave Balm will gently moisturise the skin, whilst leaving a light fragrance of kumquat, bergamot and star anise. This scented balm will double up the intensity of your fragrance, whilst refreshing the skin. E.N.